1. Buy tulips that are not fully opened. 2. Cut 1/4 inch off the stems at a 45-degree angle. 3. Choose a taller vase at first to help the tulip stand up, as you cut the bottom throughout the week (#7) you can switch the vase to something smaller and eventually a bud vase. 4. 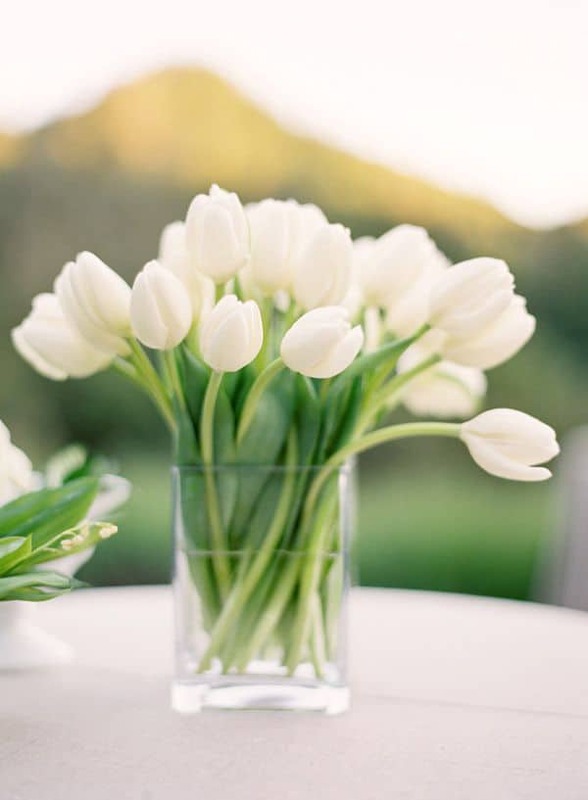 Wash your vase well to remove all bacteria, use cold water for the tulips and a small amount of flower food. 5. 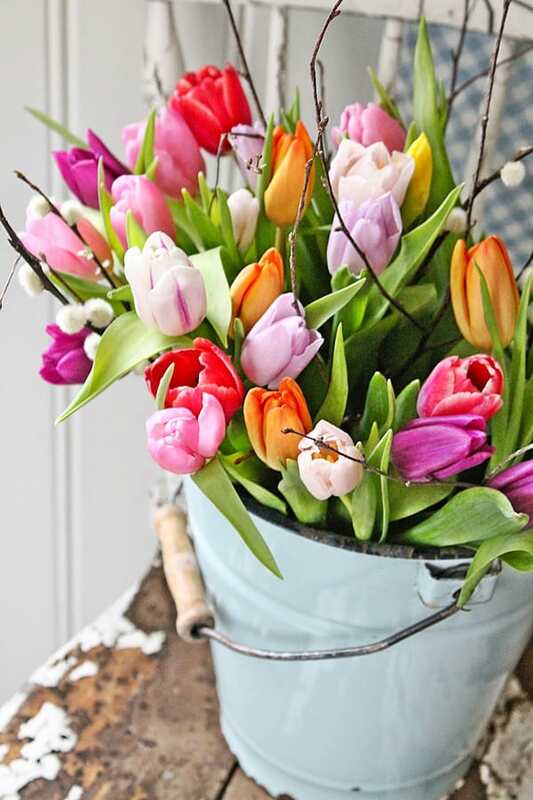 Only use a small amount of fresh water in the vase at a time so the tulips won’t continue to grow. Check the water often as you’ll need to replenish it because they do drink a lot. 6. Like Gizmo from Gremlins (haha), keep away from direct sunlight. 7. If your tulips are wilted in the morning, no big deal! Cut their stems, put them in a taller vase, add a little cold water and they’ll stand straight up again. Good tips. I also read and pinned from another post I recently read to put a splash of bleach in the small amount of water instead of the flower food. Yes!! I read that too, such a great idea and people usually have that on hand, rather than flower food. Thanks Janet! Great tips! These will come in handy when my tulips bloom! I planted a whole bunch in the fall and I am so excited for them to bloom! Oh awesome!! You’re so lucky to have them growing in your yard! They will be so beautiful! Thanks for the tips! 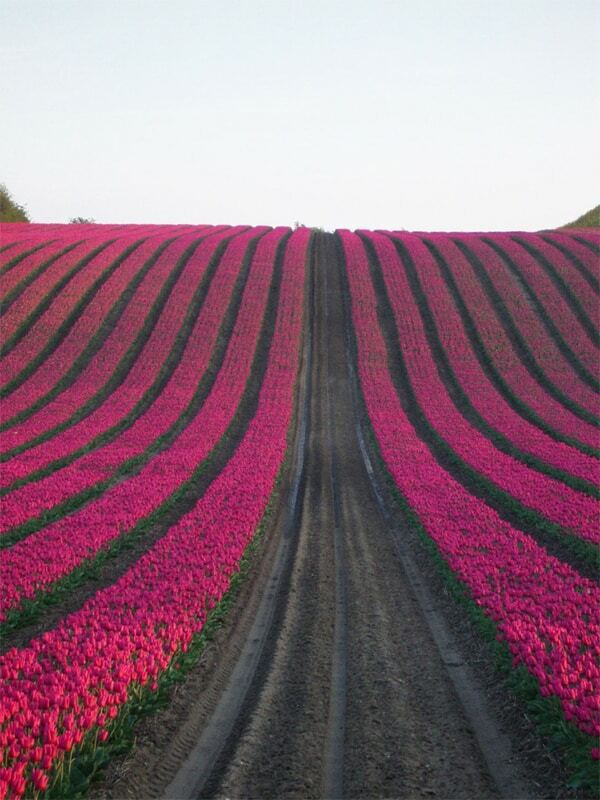 I can’t wait to buy some fresh tulips this spring at the farmers market. Oh! 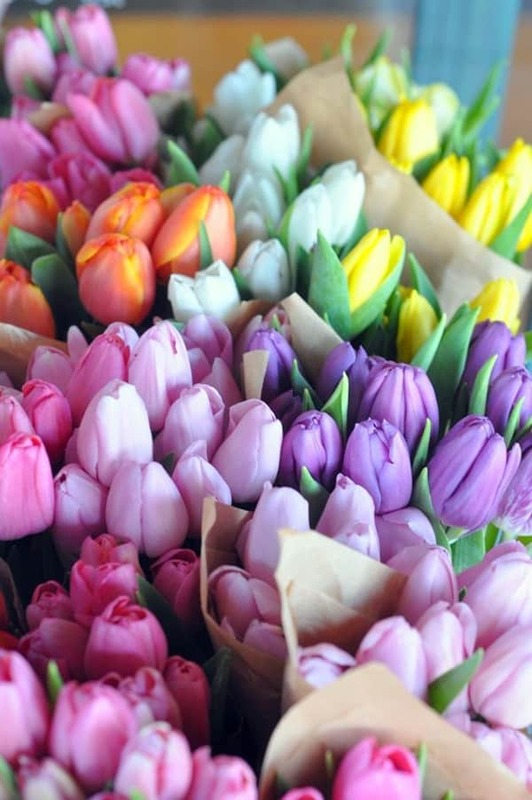 These tulips look gorgeous! I love the first picture! I tried to pick the best pics, haha!! Tulips (from a bodega) were my wedding flowers! I never know how to take care of them but I love having them around on my anniversary so thank you fo this.